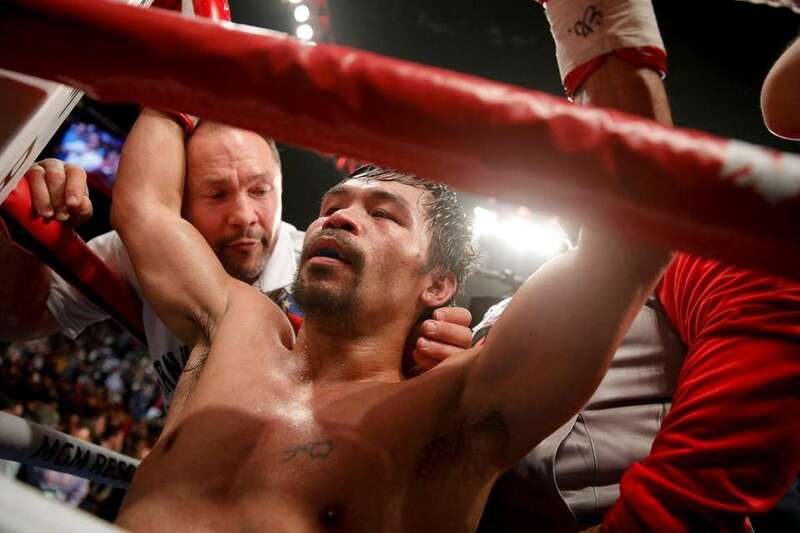 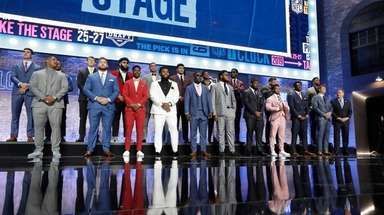 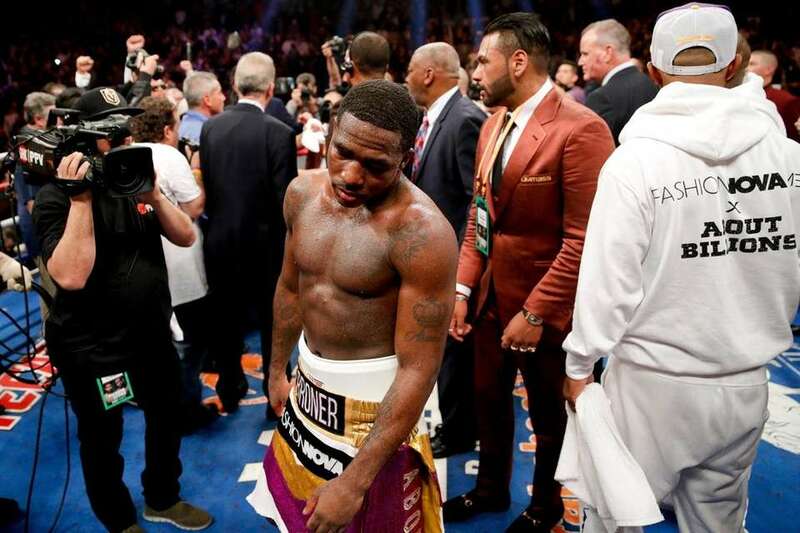 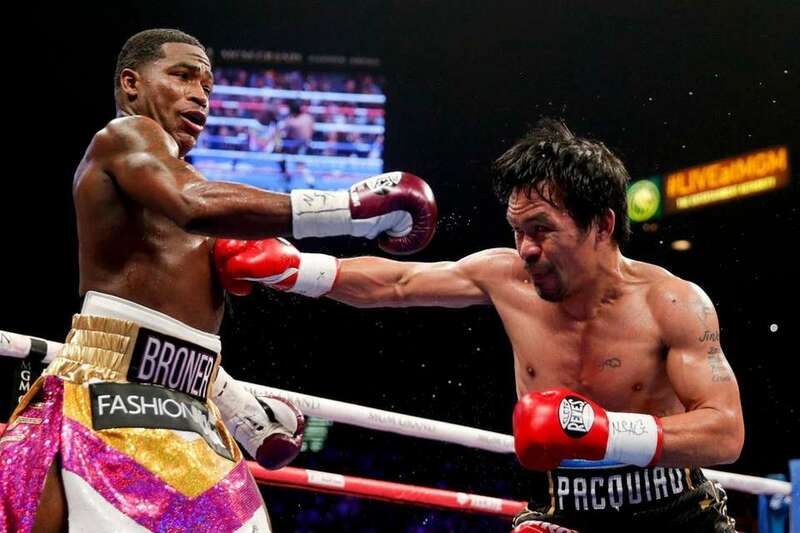 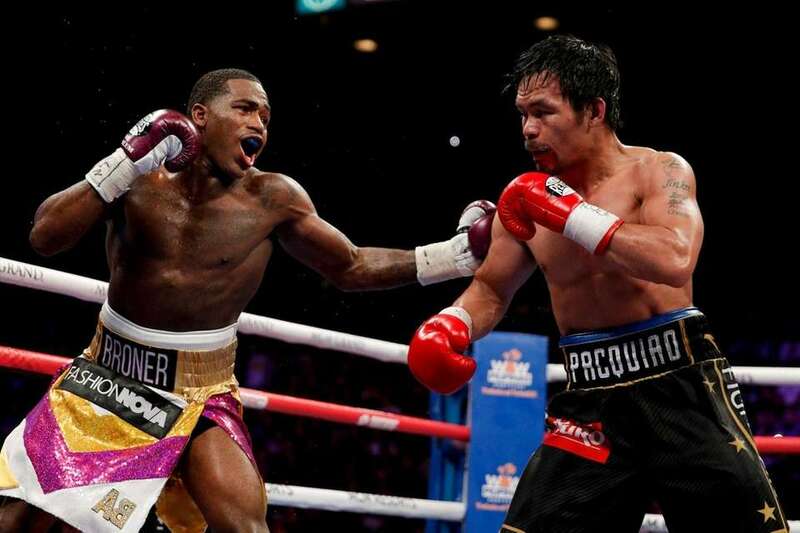 Manny Pacquiao defeated Adrien Broner via unanimous decision to defend his share of the WBA welterweight title on Saturday, Jan, 19, 2019, in Las Vegas. 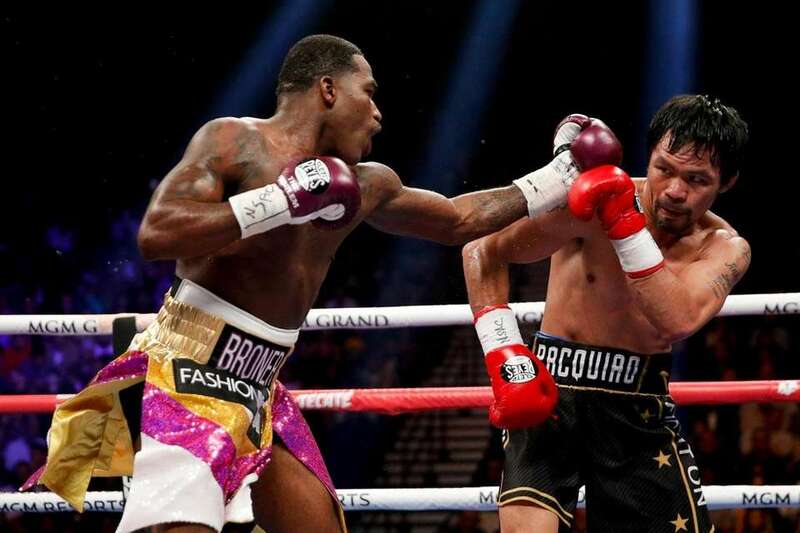 Adrien Broner, left, hits Manny Pacquiao during the WBA welterweight title boxing match Saturday, Jan. 19, 2019, in Las Vegas. 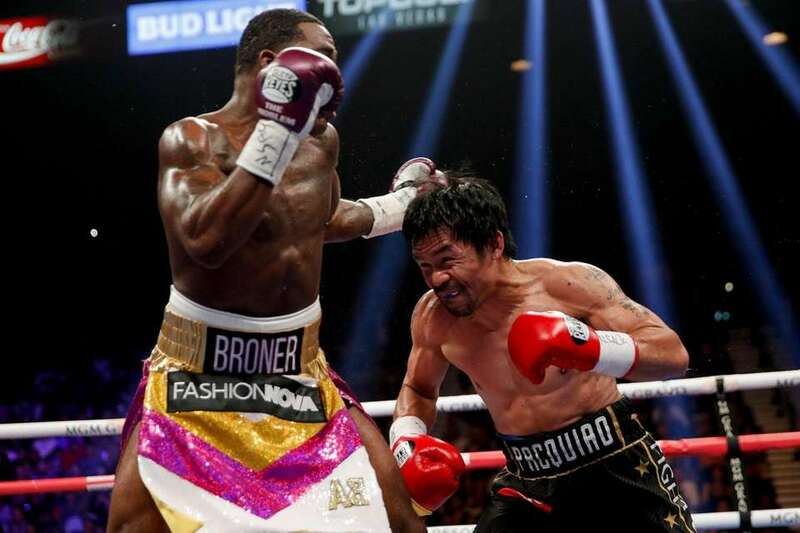 Manny Pacquiao, right, throws a right to Adrien Broner in the WBA welterweight title boxing match Saturday in Las Vegas. 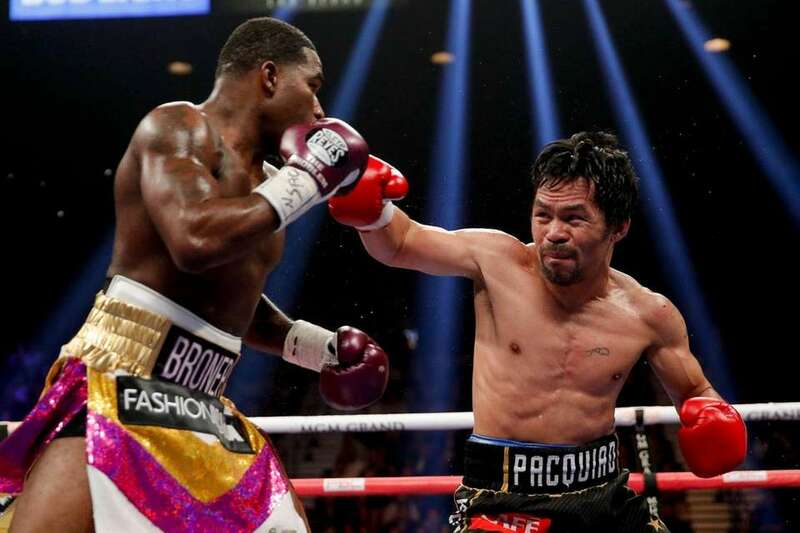 Manny Pacquiao, right, fights Adrien Broner in the WBA welterweight title boxing match Saturday, Jan. 19, 2019, in Las Vegas. 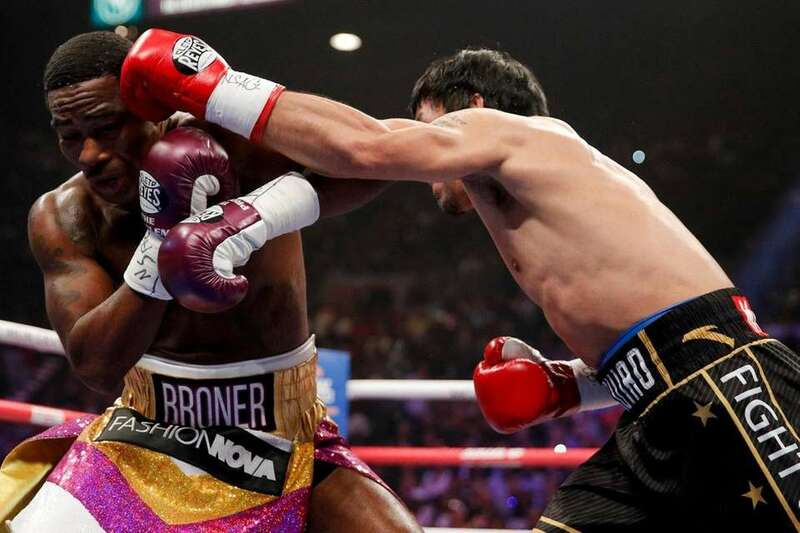 Manny Pacquiao, right, tries to avoid a left form Adrien Broner during the WBA welterweight title boxing match Saturday, Jan. 19, 2019, in Las Vegas. 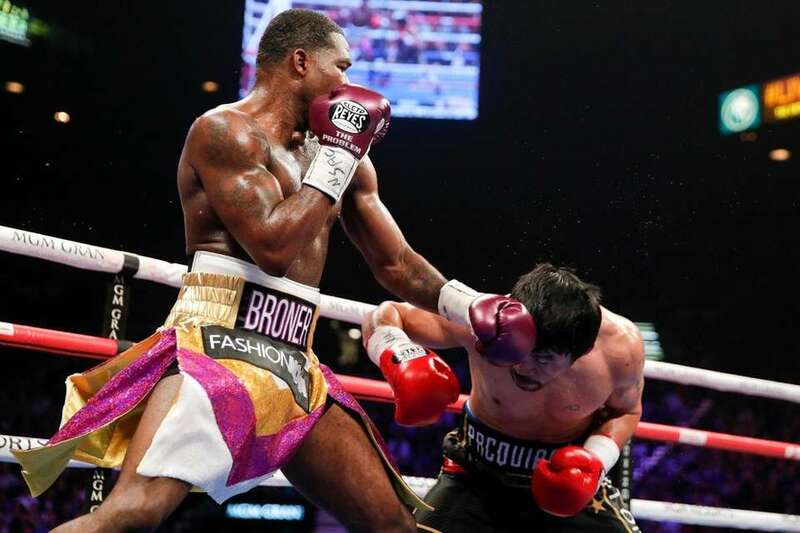 Manny Pacquiao, right, blocks a punch from Adrien Broner during WBA welterweight title boxing match Saturday, Jan. 19, 2019, in Las Vegas. 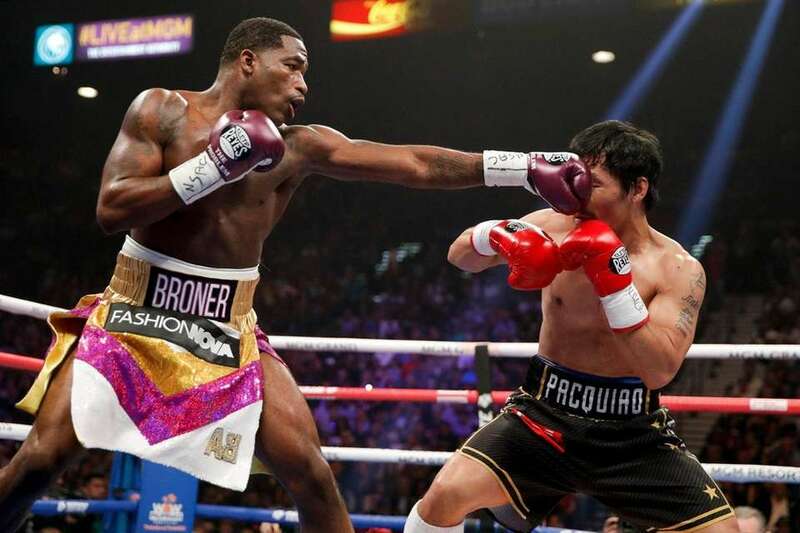 Adrien Broner hits Manny Pacquiao during the WBA welterweight title boxing bout Saturday, Jan. 19, 2019, in Las Vegas.